Do you love being outside and working in your garden? Does a thriving garden and the chance to enjoy fresh produce that you created bring you great joy? Or, do you wish you had a unique hobby that will keep you busy and connect you to our earth? If any of these questions apply to you, maybe you should think about beekeeping! Beekeeping is a rewarding, challenging, and a very engaging activity. People who keep bees have a great time doing so, and their friends and family are pretty glad about it, too — they often get to be the honey taste testers! If you’ve ever wondered how you could begin keeping bees of your own, you’ve come to the right place. 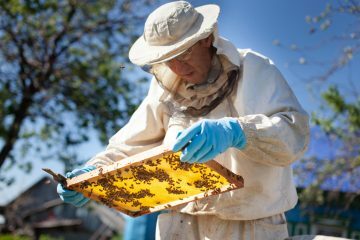 In this article, we’ll go over all you need to know to start beekeeping and raise some hives of your own. Read on if you’re ready to jump into your new favourite pastime. Where to get your bees? 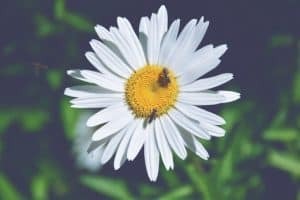 More Beekeeping Tips, what’s next? We’ve written entire articles on what is beekeeping, and how does a beehive work right here, so if you’re looking for more information, take a read. 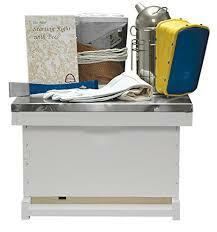 However, simply put, a beekeeper is someone who tends to colonies of bees! A beekeeper ensures the bees are healthy and safe, harvests the honey, and keeps the bees’ living space clean and primed for optimal production. Beekeeping has been around for thousands of years. It’s an important task in maintaining a healthy ecosystem of the earth. Can’t bees take care of themselves? 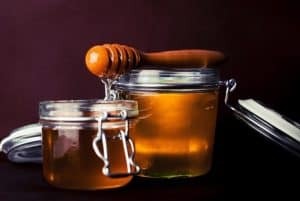 Of course, but keeping bee hives of your own is a popular way to connect with the earth and harness the benefits of their sweet production. 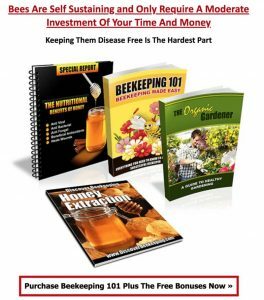 People often pick up the hobby of beekeeping because they want to nurture their garden, harvest delicious honey, and tune in with the health of the earth. 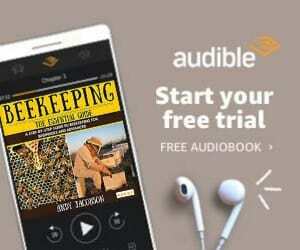 Why do people choose to get involved in beekeeping and become beekeepers? What are some of the benefits of this relatively easy activity to pick up? 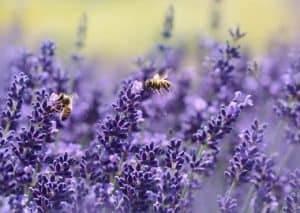 There are countless benefits to picking up a new hobby that you love, but let’s begin with just the top three reasons that people start tending bees. Bees keep a garden healthy and thriving! Introduce them to your garden and you’ll soon enjoy all the fruits of their hard daily labour. They flit from plant to plant, pollinating and protecting what you grow in your garden. If you want to see your garden truly flourish, start a colony of bees and let them go to town. Vegetable gardens and orchards will produce more fruit with a colony of bees around. Of course, one of the major reasons that people start beekeeping is the production of sweet, golden honey from the bees! A huge perk of raising bee colonies is the decadent elixir they produce. Can you imagine getting to enjoy the rich flavour of honey in your tea, on your toast, or sprinkled over sweet treats and knowing this is something you created in your own backyard? Honey is also a great gift to give others! Your friends and family will be delighted to receive fresh local honey straight from your yard. Bees are an essential part of a healthy ecosystem. 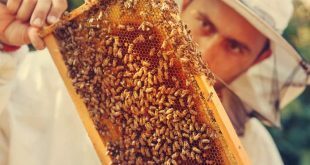 Recent years have seen a decline in bee populations, and people around the world have come together to help save the bees. Think about it: bees keep the life cycle going. They are important for the pollination and sustained growth of plant life, which supports animal populations and even the air we breathe. If bees are affected, the entire chain of existence is affected — and this includes humans. By raising bee colonies of your own, you are contributing to the protection of our earth and helping ensure our ecosystem will be sustained for generations to come. Here are some tips for diving into the world of bees. You’ll need to take some time for learning as you start out, but trust that raising bees is not too difficult to handle. If you’re ready to embark on your buzz-worthy journey, read on. You’ll need to find and purchase the right equipment, find an appropriate spot to keep your bees, and then do your fair share of research so that you are fully informed about all aspects of raising bees. 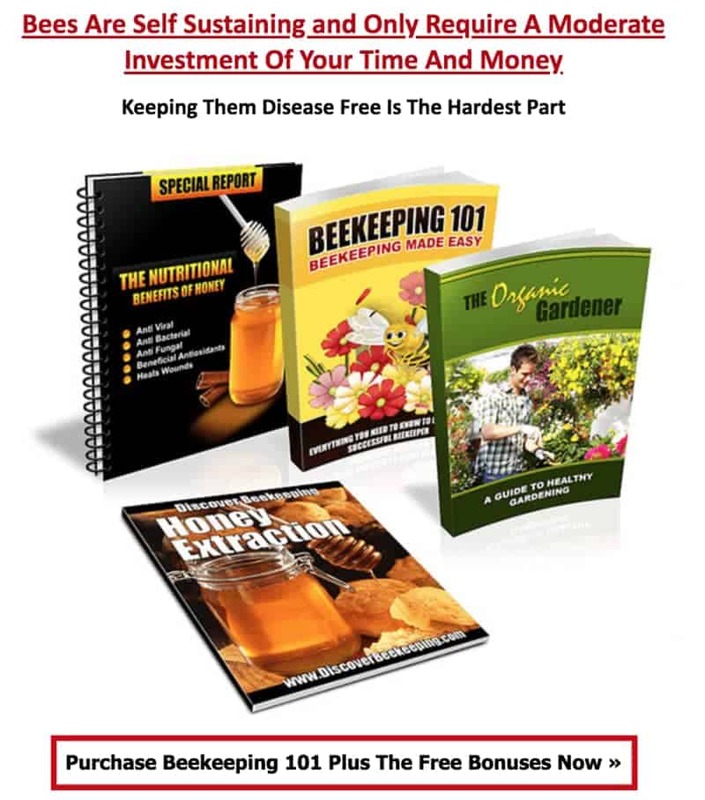 When you’re ready to invest in beekeeping equipment, researching into the best beekeeping starter kits is a great place to start. These come with all you need to start nurturing your very own beehive. Either way, to begin your beekeeping journey, you’ll need to browse available beehives for sale and find one that works for your space and budget needs. Some are very simple and just cover the basics, while others are built with elaborate honey flow tools and make your job extremely easy. The best part about bees is that they are self-sustaining. They do not require much of your time and money. Your main goal is simply to keep them free of diseases and protect their way of life. If you can invest a little time in taking care of your bees, you can raise happy and productive colonies. 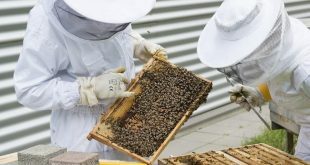 You can purchase bees from several sources, but we recommend getting in touch with your local beekeeping association as they will have connections and be able to advise you on the best breed of bees, to not only match your handling capability but also the local weather conditions, with different bees being suited to different regions and climates. This is an extremely common concern for people who are unfamiliar with tending bees. While getting stung is always a risk when it comes to bees, there are safety recommendations and precautions you should follow. Wearing the proper clothing, an example being the full beekeeper suit that we’ve recommended above, will help to ensure that you avoid stings as much as possible. Believe it or not, being stung is not a normal, everyday part of tending bees. Still, it’s important to be aware of the risks and potential danger so that you can be aware. As long as you take steps to ensure that you are protecting yourself and keeping your bees happy, a sting will be a very rare occurrence. 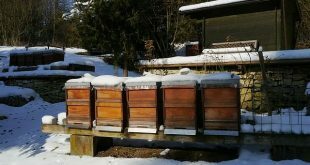 Next Types of Beehives: Which One’s Right for You?